Q: Can I buy medication as prescribed by a U.S. Doctor? You can buy medication prescribed by a U.S certified doctor on our website. After you complete all the necessary documentation, we will ship your medication to you. Unfortunately we do not accept prescriptions that have been transferred from pharmacies. Only prescriptions from licensed doctors will be accepted. Please fax this prescription to us at 1-888-726-8418. 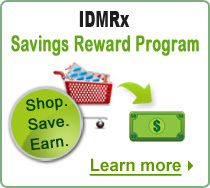 Q: What information does International Drug Mart need from me to process the order? Valid prescription signed by licensed physician/doctor which should be written in English. Non receipt of a prescription within 14 business days will result in a cancellation of you order. Call 1-866-419-7475 or email us ([email protected]) if you have any queries. Q: Do you have a limit on the prescription drug quantity that I can buy? Due to FDA Regulations, you can order, for personal use, drugs for up to a maximum of ninety (90) days supply. Q: What are your Privacy & Security Policies? At the International Drug Mart, we treat our patient's privacy with the utmost respect. We provide the highest security to protect their medical, personal and credit card information. All information provided here is subject to doctor-patient privilege laws. We also use the latest technology and systems to protect against credit card fraud. Our on line order system uses an updated secure encryption technology. Q: How do you offer such low prices? Since the Indian government has imposed control on prescription drugs, we save on costs that we forward to our Customers. Hence we are able to offer our medications to you at discounted rates. The Indian government prohibits the advertising of prescription medications. The pharmaceutical companies do not include such costs in the selling prices. Hence the cost of these drugs is further reduced. On the whole generic drugs are less expensive than branded ones. Prices are further reduced since the American dollar has a good exchange rate as compared to any other currency. Q: Does International Drug Mart sell any controlled substances? At the International Drug Mart, we believe in a clean and healthy way of living. We only deal in drugs that help individuals sustain or maintain a healthy lifestyle. This is why we do not sell any controlled substances, habit forming substances or narcotic pharmaceuticals like Valium, sleeping pills, etc. Q: What countries does International Drug Mart ship to? InternationalDrugMart.com ships to anywhere in the United States, and to many countries throughout the world. We DO NOT SHIP to Canada, Cuba, Ireland and Germany. If you have a question about a specific country not listed here, please contact us by email or chat. Q: Where is my prescription medication shipped from? Internationally notable and well-respected pharmaceutical companies like GlaxoSmithKline, Pfizer, Abbott, Novartis, Aventis, Wyeth, Astrazencea, Ranbaxy, Dr Reddy's, Cipla, Sun Pharma and other respected companies have their manufacturing plants in India. These drugs are made for sale in India and worldwide. We source the medication from the manufacturers both directly and indirectly. Medications sourced from the above resources are then packed in our state-of-the-art fulfillment center in Chennai, India. The medication is then shipped via EMS, DHL & USPS so that your order arrives as soon as possible. Q: What is the procedure to cancel my order? In case you want to cancel your order, you can send us mail or call us before the order is charged. Q: Can I cancel my order after the product is charged? No, your order cannot be canceled once your credit card has been processed. To know if your order is shipped, you can login to your account, which will let you know your order details and the status of your order. Q: What to do If I don’t find the medications I am looking for? You can contact us and our customer support executives or our pharmacists will get back to you on receipt of your query. To check the status of your order, you can login to your account, which will let you know whether your order has been processed, shipped or delivered. Q: How do I refill my order? You can login to your account and refill any order that you have already placed with us by clicking the Refill button and following our simple payment procedure. Q: Can I order more than one medication at a time at your Pharmacy? Yes, you can order more than one medication or any number of medications at a time at our Pharmacy. You can also combine prescription medications along with OTC products in your order. Q: Is your Pharmacy licensed? We are available 24 hours online. We have online chat and call center support from Monday to Saturday (08:00 AM EST to 08:00 PM PST). Q: Can I talk to International Drug Mart’s Pharmacists? 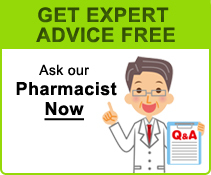 You can contact our pharmacists online either by using “Ask Our Pharmacist a Question” feature available in all drug pages or by using the form in the contact us section, with the subject line “To the Pharmacist”. Q: Do you accept returns and refund if the delivered order is damaged? We will reship the order if the proof is provided for the damage. Yes, you can mail us or contact us via the online chat if you want to change your shipping address before your order is shipped. Q: How will my order be shipped and packaged? Your order will be untouched by human hands. Packaged in the manufacturer's sealed blister/strip packaging, your medications will be delivered by EMS/DHL/USPS to your doorstep within 2 to 3 weeks. We do not apply sales tax on any online orders. Q: How long will it take to process and ship my order? Once we have received the relevant information, we will start processing your order and your shipment should reach you in about 14 to 21 days. 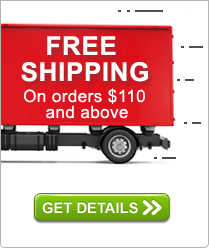 Once we ship the medication to you we will email you your tracking number. You can trace your order in real time by logging onto our website or you can get information regarding your shipment by calling our toll free number: 1-866-419-7475. At this time, we accept only Visa- Debit/Credit/Gift cards. 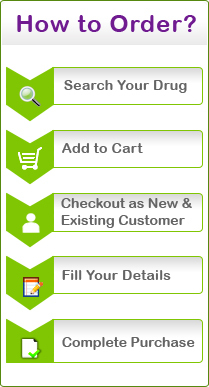 We accept your credit/debit card details via our ‘secure’ order page. Q: Is it safe to use my credit/debit card? We make sure that no credit/debit card fraud can take place when you place an order with the International Drug Mart. We employ the latest in security measures and all account information sent to us is completely guarded from unauthorized access. Every precaution has been taken to make sure your transaction is absolutely secure. We are PCI DSS Level 3 Compliance Certified. Q: Will you accept my U.S. Insurance Plan? Although we do not accept U.S. insurance plans, we do provide you with an invoice and receipt that you can use for insurance purposes. Acceptance of such receipts however, differs between insurance companies. All drug prices on our website are in US Dollars. Q: What Happens If I Don’t Receive My Shipment-Current? If you do not receive your shipment we will re-ship it at no additional cost to you. If you do not receive your shipment within 21 days of placing your order, please contact us immediately at 1-866-419-7475 so we may begin the replacement process. A very high percentage of our deliveries reach our customers, but on rare occasions, packages do get lost. We will refund your payment if we are unable to successfully re-ship your order. Q: Are there any other unmentioned charges? We do not have any other hidden or extra charges apart from what is mentioned as the price of the medication. Q: When ordering prescription drugs, is there any professional fee for each prescription? We do not charge any extra professional fee for any prescription. All physician review and prescription fees are included in prices mentioned. Q: Why do the pills I receive look different than the ones I get from my local pharmacy? There is a physical difference between branded drugs and generic drugs. Although branded drugs and their generic counterparts have the same active ingredients and fulfill exactly the same function, they look different. In case you are used to ordering branded drugs and you order their generic counterparts from our website, they will look different. Even brand drugs with the same name can look different depending upon whether their country of origin is USA or Canada or any other country. Generic pills too, will look different if different companies make them. Certain brand drugs like Lipitor, Viagra, Crestor, etc. are still under a US patent. Generic drugs are bioequivalent to the brand version and that there are no significant differences in the rate and extent of absorption. But the Indian pharmaceutical manufacturers are not regulated by US patents and they make every pharmaceutical compound known in the world today. Initially, these drugs were intended for consumption by India citizens, but the international consumption of these products has increased so dramatically, due to the incredible savings, that American, Canadian and European citizens now consume more Indian manufactured drugs than the Indians itself. Q: Are the generic drugs safe? We sell the generic drugs that are covered by stringent drug enforcement regulations. They have the same active ingredients and are as safe as their brand-name counterparts. Generic drugs are “bioequivalent” to brand-name drugs and hence provide the same therapeutic effect as branded ones. We do not make any commercial use of your personal information. Authorized personnel to process your order will only use the personal information that you provide us. Q: Can I return my medication for a refund? Due to Federal Laws, we cannot accept returned prescription medications but we are always ready to provide refunds to customers who are not completely satisfied.